More details have emerged regarding how a Bayelsa State government photographer, Reginald Dei, and the People’s Democratic Party (PDP) ward chairman in Oweikorogha community in Southern Ijaw Local Government Area of the state, Mr Seidougha Taribi, were murdered on Saturday. Although earlier reports suggested that Dei and Taribi were shot by soldiers attached to the Operation Delta Safe (OPDS), latest reports has it that the assailants wore military uniforms with no identification of the command they belonged to. A eye-witness said the two victims were killed in their houses while waiting for the votes of the ward to be collated and counted. The Chairman of the PDP in Bayelsa State, Chief Moses Cleopas, said the death of Dei and Seidougha has brought the number of those killed by suspected thugs belonging to the opposition allegedly backed by soldiers to three. 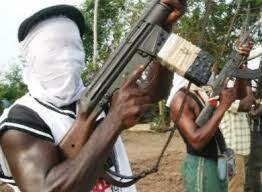 Meanwhile the OPDS has denied its men were involved in any shooting in Southern Ijaw or any part of the state. The OPDS spokesman, Major Abdullahi, said politicians should not drag the OPDS into their politicking.